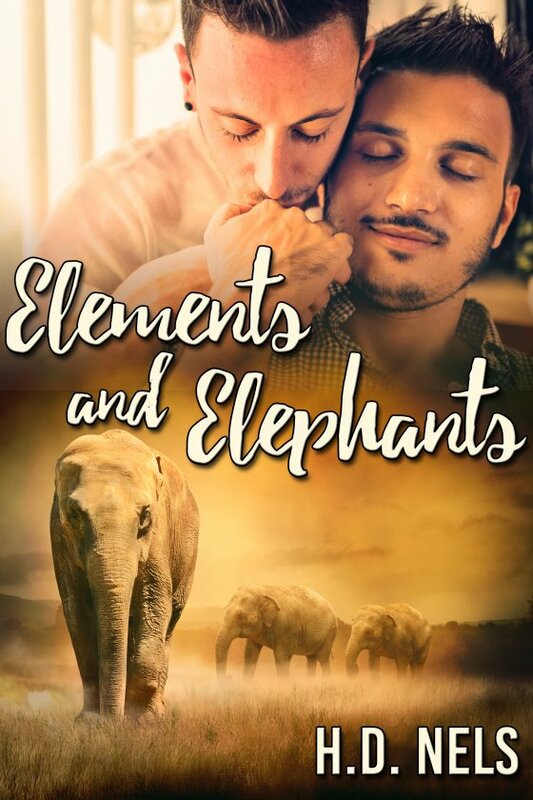 Elements and Elephants by H.D. Nels is now available! Jack Bisson is a welder from Calgary, sharing a business with his brother and disapproving, emotionally distant father. Rather than celebrating his birthday with his family, Jack prefers to avoid his father and spend the evening out on his own. Jack’s meets Willem in a gay bar, a meeting that will change his life significantly. Willem de Vries is a South African on a temporary work permit in Canada. Although smitten with Jack, Will’s insecurities lead him to abandon Jack when he suddenly returns to South Africa. Jack follows Will, determined to learn what went wrong. When they meet again, they resume their relationship, rebuilding their trust in a remote corner of the South African wilderness. Then disaster strikes. Seriously injured Will has to fight for his life. Will he survive, and will Jack be able to endure the prospect of losing Willem once again?